State Hwy 1617, Mitchell Rd, Davis Hollow Rd, and Pauley Ct. Local residents include Sam Speakman, Rufus Rose, J.L. Moore, C.C. Isaacs, Raymond Terrill, J.B. Moore, Ed Ray, R.N. Mitchell, Lester Hurley, and L. Marion Oliver. 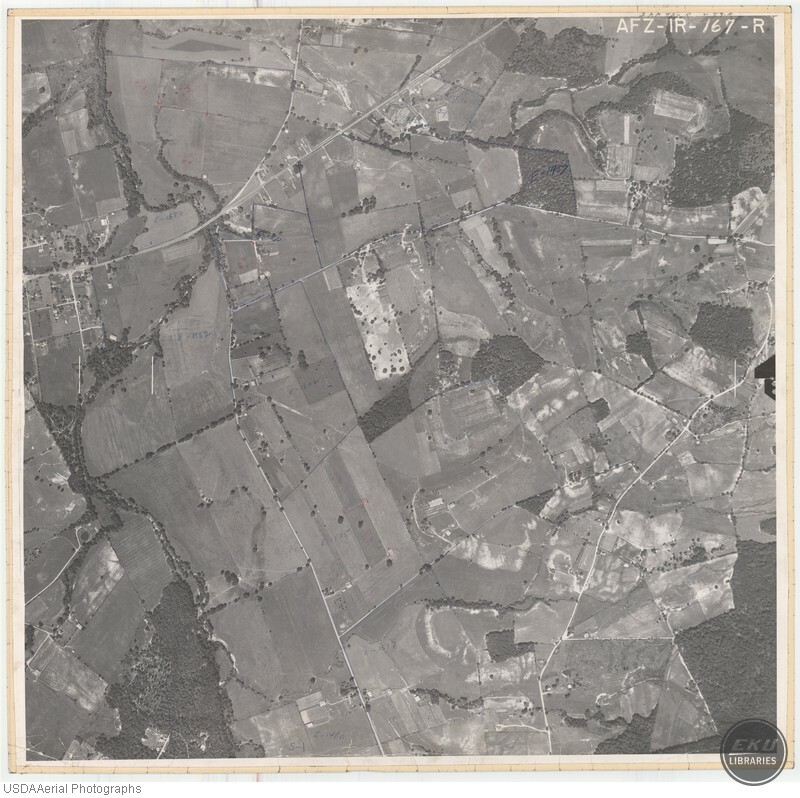 USDA, “South Madison County, East of Berea,” Digital Collections, accessed April 19, 2019, https://digitalcollections.eku.edu/items/show/856.